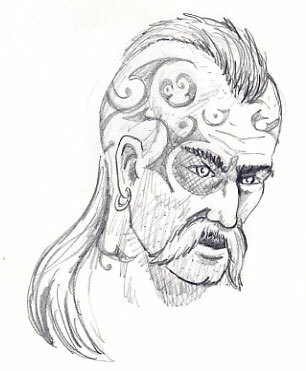 Here's a concept for the elite pagans. 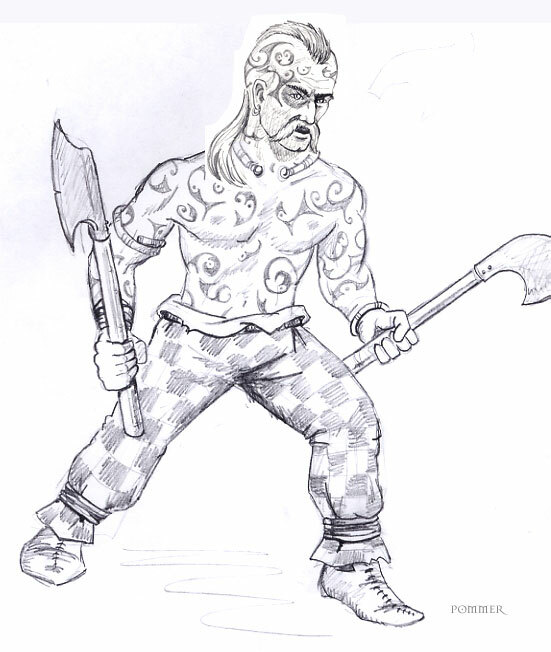 They're tattooed berserkers who use two axes (we can use the prelate combat animations). Cool - now for the bare breasted female warrior weilding two frying pans. V cool. The animation sharing is a cool idea too. You should do a female version as well though, with leet claw weapons. Coolness. It might be documented elsewhere, but will there also be uber-shaman versions? Or is the standard run-of-the-mill shaman magical enough? I don't like - I love. I plan on doing a male and female shaman, but I don't think we'll have elite ones, any more than elite builder priests. I do have some ideas for more varied magical powers for those characters though...I keep forgetting to post it.